In 2009 I attended the Presidential Inauguration of Barack Obama as the 44th President of the United States. My attendance was as part of the Presidential Youth Inaugural Conference and included speeches from Former Vice President Al Gore, Former Secretary of State Colin Powell and retired Archbishop Desmond Tutu. 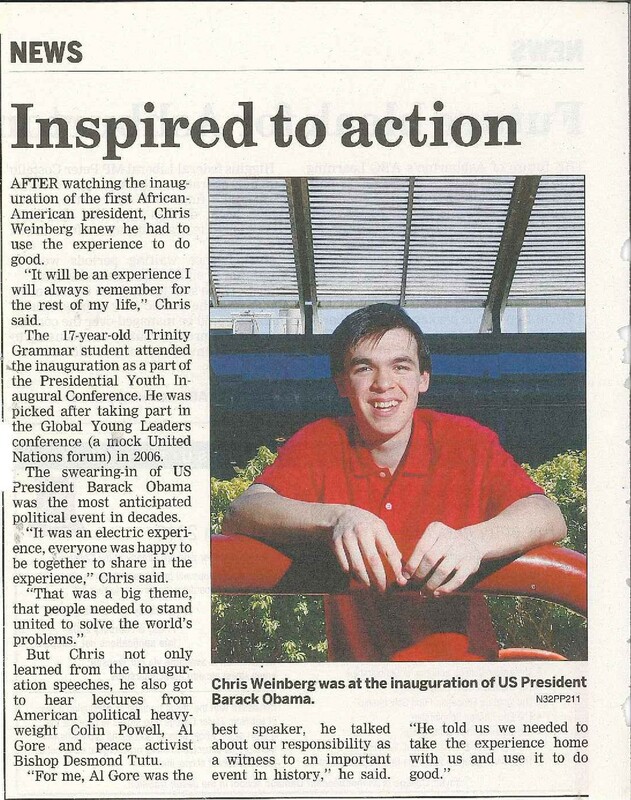 I reflected on these experiences in the Progress Leader, local newspaper for my secondary school, Trinity Grammar School, Kew.